This has been a busy, crazy year so far. Everything has blossomed and gone wild. Life was supposed to be lazier now, but it is not. I have lots of projects still going. Nothing is done. 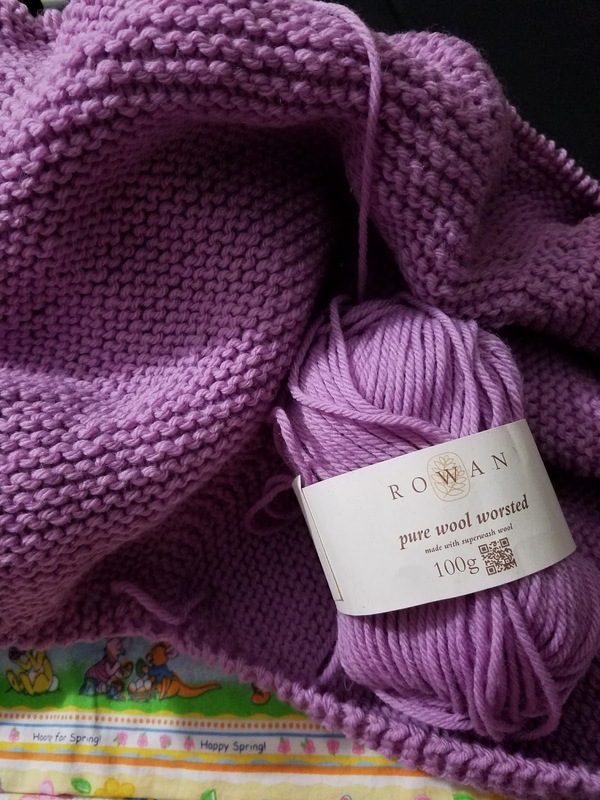 I am currently working on my Milk Run Shawl, in a lovely lavender shade of Rowan Pure Wool Worsted. I should probably be working on something else, like a dragon, socks, one of the many blankets or sweaters I have started, but for now, a shawl it is.